Will Idaho ever go green? Things ain't easy for Idaho's pro-pot crowd. 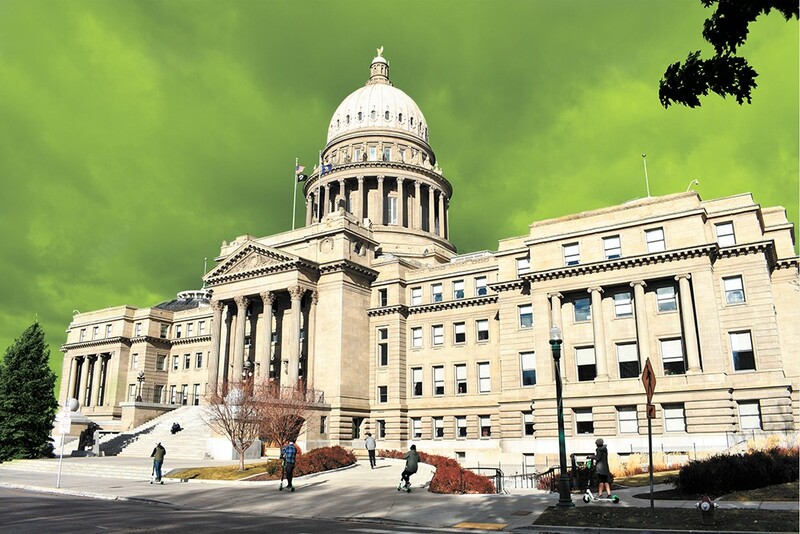 While would-be weed smokers can find hope in the Idaho Cannabis Coalition's recently filed medical marijuana petition for the 2020 ballot, the path forward is shaping up to be more difficult than it's ever been. For the people behind the marijuana petition, the new legislation would retroactively apply, although technically the petition was filed before the legislation was even introduced. Idaho Cannabis Coalition spokesman Bill Esbensen told the Idaho Post Register the bill was "clear tyranny." "It doesn't matter if we had a marijuana initiative or an initiative to eliminate sales tax, it's insane to me to make it harder for this process — almost impossible," he said. Though this isn't the first time marijuana advocates in Idaho have pushed for legalization, 2019 marks a year when the state is increasingly fenced in by surrounding governments that have enacted legislation for hemp, medical marijuana or all-out recreational use. Earlier in the legislative session Rep. Caroline Nilsson Troy (R-Genesee) introduced a hemp bill, which would bring the state's hemp laws in line with the 2018 federal Farm Bill. The bill passed the House, 63-0 on March 18. Though Troy's bill only dealt with hemp, she tells the Inlander she didn't see any interest in marijuana this legislative session. Contrast that with some stern words from Serra Frank, a pro-marijuana advocate: "The people of Idaho want it, the politicians might not, we don't care what they say," Frank told Boise's KTVB in the beginning of the year. "We are the people, this is our Capitol building, we are going to make this happen." The original print version of this article was headlined "'Clear Tyranny'"